In this article promoting the positive impact of migration, Simon Tilford, Deputy Director of the British based Centre for European Reform Think Tank, finds that ‘Immigrants pay tax and the Organisation for Economic Cooperation and Development calculates that in the UK, they pay more into the pot than they take out’. Such findings further THP’s ambitions to ensure that migration benefits all when properly managed and facilitated. THP has increasingly focused on observing the utilization of the social capital of migrants. 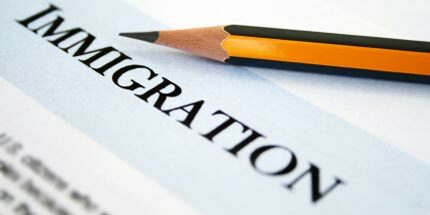 In a similar light, Oxford Journals has commenced the publication of ‘Migration Studies’ in March of 2013. 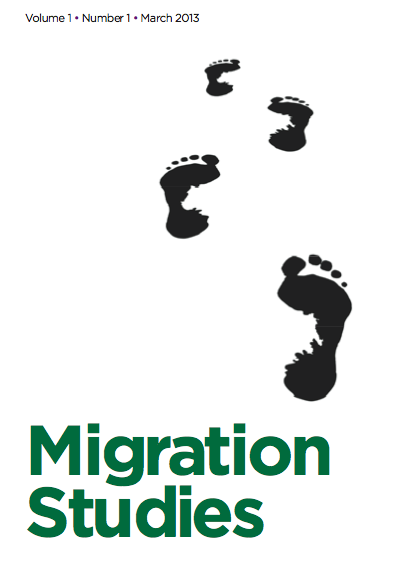 We will be following ‘Migration Studies’ closely as our work progresses and we enjoy the content thoroughly. THP would like to highlight this new article from Alejandro Portes and Jessica Yiu provides new and interesting insights into the entrepreneurship of migrants. Portes and Yiu review the debate on economic and social consequences of immigrant entrepreneurship as well as theories advanced to explain different levels of self- employment among immigrant and ethnic minorities. `They examine the impact of pro- fessional and entrepreneurial migration on sending countries from the viewpoint of traditional theories of the brain drain as well as from that of the more recent transnational perspective. Lastly they present the latest data on the effects of self- employment on income levels for various immigrant and ethnic groups. Results confirm the conclusion of a consistently positive net effect, both for annual incomes and hourly earnings. Implications of these results for theories of immigrant adaptation and policies implemented by sending and receiving countries are discussed. Migration 2.0: A Time for action at the UN Summit of Migration and Development – Peter D. Sutherland, THP’s Club of the Hague. This coming October the UN General Assembly will meet in a historic second meeting concentrating on international migration. 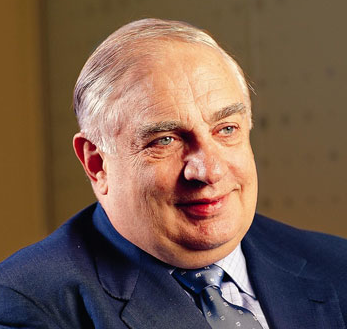 In this article, Peter Sutherland, the Special Representative of the UN Secretary-General for Migration, and member of THP’s Club of the Hague, details the summit’s need to generate action on how to reduce the economic and human cost of migration for the meeting to be considered a success. Sutherland identifies significant positive trends converging that should raise the odds that this dialogue will produce meaningful results. First, the number states with stakes in international migration has exploded. More and more states have an interest in thinking and acting holistically about migration, rather than seeing it only from a viewpoint of an origin or destination country. Their points of view are coming together, creating greater chance of cooperation. A solid evidence base of how migration impacts development, and which polices are effective, is emerging, thus, deflating the mythology that distorts debate. Sutherland states, a shared stance of The Hague Process on Refugees and Migration’s , that solutions will be identified and solved in conversations taking place amongst stake holders at a regional level, and that the search for partners in this process extends to non-state actors who have become crucial in the efforts to create a safer, and fairer, international migration system. With positive trends come countervailing forces at work, too. With the rise in international movement comes criminal private sector action – traffickers, smugglers, and exploitive recruiters – seeing significant growth. This makes it even more urgent to make the most out of the high level dialogue next fall. While Mr. Sutherland is hopefully that the dialogue will find success in producing scalable courses of action, he reminds us that the pursuit of grander goals must not be allowed to undermine more incremental efforts, and that satisfaction of short-term political gains of states must not be allowed to jeopardize what can be accomplished with the hard work of cooperation. To read Mr. Sutherland’s complete article, please select the link below. 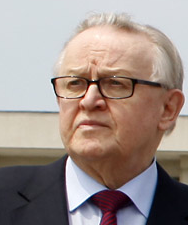 Joined by notable non-office holding world leaders; such as, Nelson Mandela, Desmond Tutu, Koffi Annan and Jimmy Carter, Martti Ahtisaari works for peace and human rights via ‘The Elders‘. Like The Hague Process, The Elders have great concern for the plight of refugee and migration relating to their dedication of making peace and settling conflict. 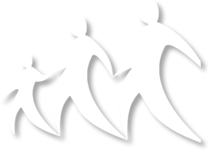 They are committed to promoting the shared interests of humanity, and the universal human rights we all share. They believe that in any conflict, it is important to listen to everyone – no matter how unpalatable or unpopular this may be. On the occasion of ‘ World Refugee Day’, Mr. Ahtisaari, former president of Finland, Nobel Laureate, and friend of THP, reflected on the particular experience of a young refugee in 1939 – that is, his own. Click below to visit ‘The Elders’, and read Martti Ahtisaari’s recollection.